MAINZ, Germany – An underground “anomaly” has been discovered in a German town after a filmmaker potentially cracked a code that he believes will lead him to a hidden Nazi treasure. 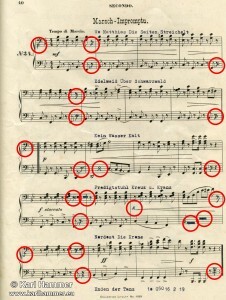 Image: Document with markings. Copyright notice: Karl Hammer has put these documents online for the general public to download them and start their own research. Karl Hammer agrees that these documents may be freely distributed and re-posted, also in news papers and other news media under the condition that he is referred to as the source of this material. SOURCE: Codebreakers. Featured Image: Flag of German Reich, 1935–1945. SOURCE: Wikipedia Commons (Public Domain). Featured Image:The Reichsadler or coat of arms of the Deutsches Reich (German Reich, 1933–1945. This image shows (or resembles) a symbol that was used by the National Socialist (NSDAP/Nazi) government of Germany or an organization closely associated to it, or another party which has been banned by the Federal Constitutional Court of Germany. SOURCE:Wikipedia (Public-Domain). 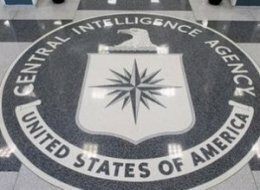 CIA logo. SOURCE: Wikipedia. 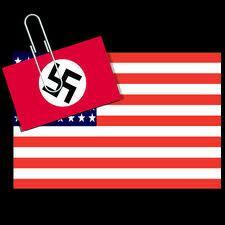 The U.S. secret police force was formed by rogue leaders in the American Secret Service and high ranking eliments of the German NAZI SS brought to the U.S. under the classified Operation Paperclip following WWll.